Alphabet Knitting Using Letter Charts - Creativity Strikes! You want to learn alphabet knitting? You are in the right place. But first we have to talk about the technique because once you wrap your head around this you will be able to stitch the entire alphabet with confidence and glee. When I discovered duplicate stitching (aka over knitting aka double knitting aka Swiss darning) my whole world changed. Because now anything was possible. Before learning about this technique I struggled to incorporate letters and shapes into my knitting patterns. Of course this is possible, but it’s so finicky. 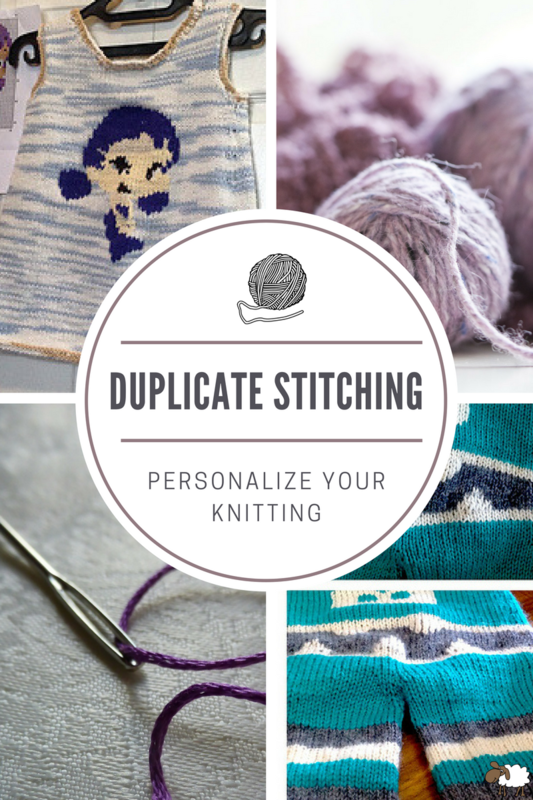 Duplicate stitching happens after the knitting so you don’t have to work it into the design. It happens on top. Cool, right? I started with simple projects like monster longies and an Oona sundress. I’m half joking because the more duplicate stitching you do the longer your project takes so “simple” is relative. I like duplicate stitching because you can figure it out once your project is complete. And you follow a chart, which leaves out room for error. Just follow the chart. By now you’ve probably deduced you’re not really knitting letters, you’re duplicate stitching them onto your project. All you have to do is print out your chart (you can even draw your own letters on graph paper if you’re fancy) and figure out where you want to start. Each box in the chart represents one stitch of your knitting, so as long as you follow the chart you will create legible letters. I hope that answers the question how to knit the alphabet. Duplicate stitching is the way to go! Not only does it make alphabet knitting possible, it opens up the world of design. Have fun!